Consumer protection laws are designed to ensure fair competition and the free flow of truthful information in the marketplace. 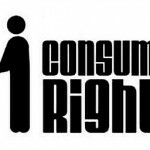 Consumer Protection laws are a form of government regulation which protects the interests of consumers. For example, a government may require businesses to disclose detailed information about products—particularly in areas where safety or public health is an issue, such as food. Consumer Laws require that consumers receive important information about companies and the products and services they offer, so consumers can make well-informed buying decisions. Consumer Protection Laws can cover a wide array of issues, such as misrepresentation, fraud, faulty products, bill collection, service and sales contracts, personal loans, and bankruptcy. Consumer protection laws can vary from state to state, so it is imperative that your lawyer have thorough knowledge of the consumer protection laws in your state. Our Consumer Laws Legal Help service will put you in direct contact with the Consumer Rights Attorney best suited to handle your case.